Congrats! Now go join the NU Class of 2017 Facebook page! Last edited by MT Cicero on Sat Sep 20, 2014 3:58 pm, edited 42 times in total. Early decision, so checking in! I'm heading to Streeterville today to visit a 1L with whom I have mutual friends. Obviously there's plenty of resources on here to ask questions but if you would like anything specifically addressed let me know! dvm0802 wrote: Early decision, so checking in! I'm heading to Streeterville today to visit a 1L with whom I have mutual friends. Obviously there's plenty of resources on here to ask questions but if you would like anything specifically addressed let me know! Hey everyone. I'm from NYC and have never been out to Chicago. Looks like I now have an excellent reason to visit! As an older applicant, NU will be a great fit I think. I just have to weigh all my options when the time arrives. P.S. Can anyone in Chi-town speak to the location? I heard it's relatively safer than U of C's locale. AAJD2B wrote: Hey everyone. I'm from NYC and have never been out to Chicago. Looks like I now have an excellent reason to visit! As an older applicant, NU will be a great fit I think. I just have to weigh all my options when the time arrives. It's in one of the most beautiful and safest parts of Chicago, right on the lake. Truly there are multi-million dollar condos all around that area. Last edited by lawschool22 on Fri Dec 20, 2013 11:08 am, edited 1 time in total. Wow law school!! Thanks! Looks beautiful. Do you or anyone else know when ASW is? They didn't mention those details in my acceptance letter. Last edited by dvm0802 on Thu Jan 16, 2014 9:35 pm, edited 1 time in total. I am still kind of in shock. This was my very first acceptance this cycle and it took less than a month to hear back. Definitely a great surprise for Christmas! 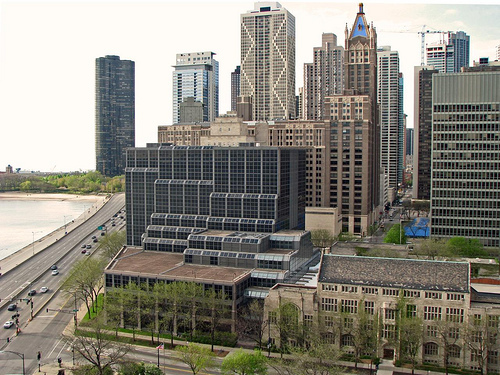 How does Northwestern do when it comes to job placement and salaries? I looked it up on Law School Transparency but I am curious if anybody knows anything more than what is listed on LST. Thanks! Southbridge wrote: I am still kind of in shock. This was my very first acceptance this cycle and it took less than a month to hear back. Definitely a great surprise for Christmas! One thing you'll want to consider about NU is that I think it places best in Chicago. Obviously NYC is also doable, but if you're trying to get certain other markets it may not necessarily be the best choice. It does place really well in secondary markets in the midwest, so if that is a goal NU can be a good fit. My main point is to just keep in mind that at some of the lower-ranked T14 there is a small element of regional bias/advantage that can come into play, so keep that in mind. Hmmmm, okay. It places better than U of C in Chicago? Sorry I should clarify. When I say it places "best" in Chicago, I don't mean best of all other schools. 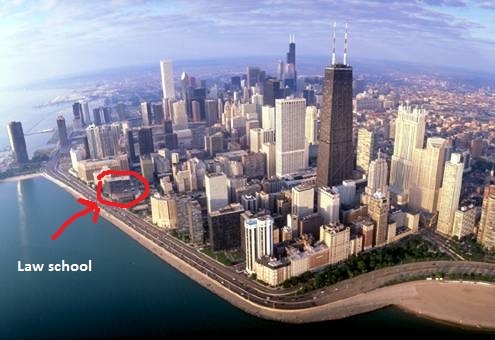 I mean if you graduate from NU, you have a better chance at getting employed in Chicago than other markets, i.e. your most likely outcome will be Chicago. Some of it is self-selection, but if you want NYC, a better choice might be Cornell, a similarly-ranked school, for example. UChi will be best in Chicago, but NU will not be far off and can often be the better decision for someone seeking Chicago big-law due to the (usually) lower cost. Thanks to both of you for the information. Checking in! Northwestern is one of my top choices; I'm looking to work in Indianapolis after I graduate. Still dancing in my head. Does anyone know where I can find a list of the firms that go Northwestern for OCI? Last edited by norkanite on Sun Aug 02, 2015 5:24 pm, edited 1 time in total. californiauser wrote: Does anyone know where I can find a list of the firms that go Northwestern for OCI? I am very much interested in how well they place URMs, more specifically AA students. I think I will reach out to NU's BLSA. I am ED, so my opinion is probably not impartial. But what I heard about NUs employment numbers seems reasonable to me. Since NU is so business focused, and has a small but statistically significant number of MBA/JD graduates, there are a number of graduates who are employed after graduation in jobs that don't count toward the school's statistics, becasue they are not "legal" jobs. I think they should change the statistic from simply "long term legal jobs" to "long term legal jobs OR long term jobs with salary above school median." Last edited by norkanite on Sun Aug 02, 2015 5:23 pm, edited 1 time in total. Hello all! I got in ED last week. Any idea how NU grads would fare in Denver? Checking in, ED as well!! Last edited by dvm0802 on Thu Jan 16, 2014 9:36 pm, edited 1 time in total. In ED as well. I've never been to Chicago, so it's impossible for me to say that I intend to settle down there. I trust that an NU degree is a great investment at the price, even if I look to live elsewhere in the future.